He's a good cook! 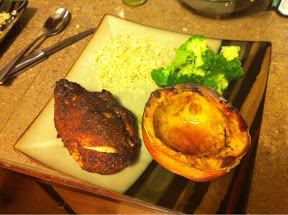 Baked chicken with paprika, cayenne and brown sugar rub, acorn squash baked with agave and cinnamon. Brown rice and broccoli.